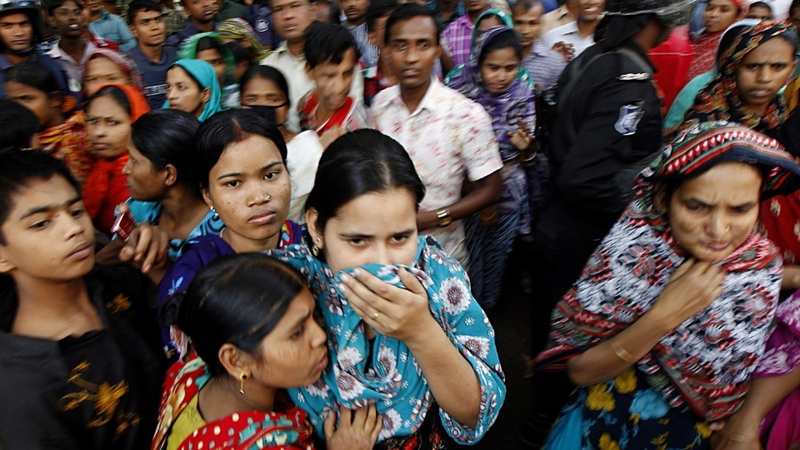 As Bangladeshi authorities order an investigation into a garment factory blaze that killed more than 100 people, aid organizations say steps must be taken to improve unsafe working conditions for labour workers in Asia. 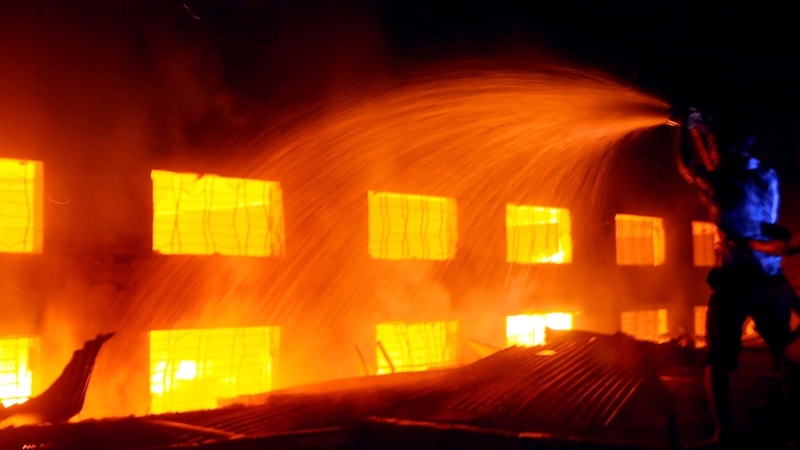 The fire broke out at a factory operated by Tazreen Fashions on the outskirts of Dhaka late Saturday. 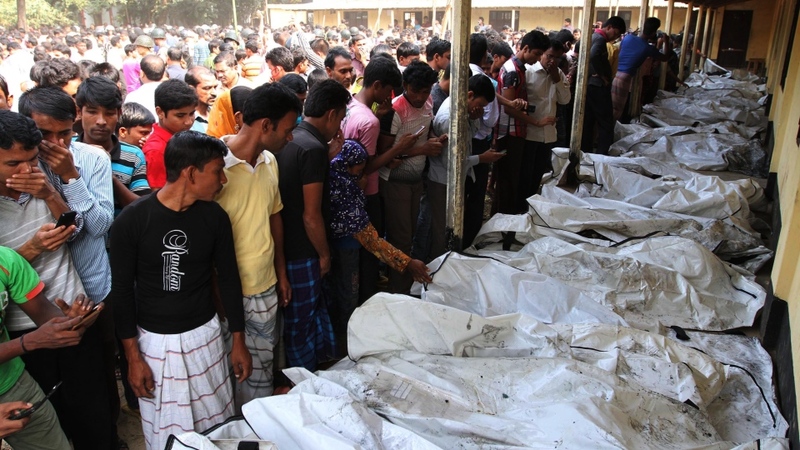 Fire department Operations Director Maj. Mohammad Mahbub told The Associated Press that firefighters had recovered 100 bodies by Sunday morning, including 69 from the second floor alone. Another 12 people who were injured escaping the burning building have also died. 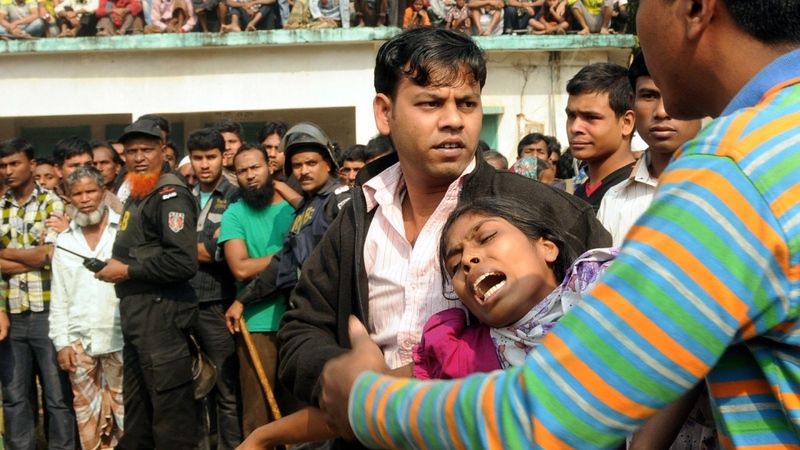 According to Mahbub, most of the victims were trapped in the building, with no emergency exits leading outside. 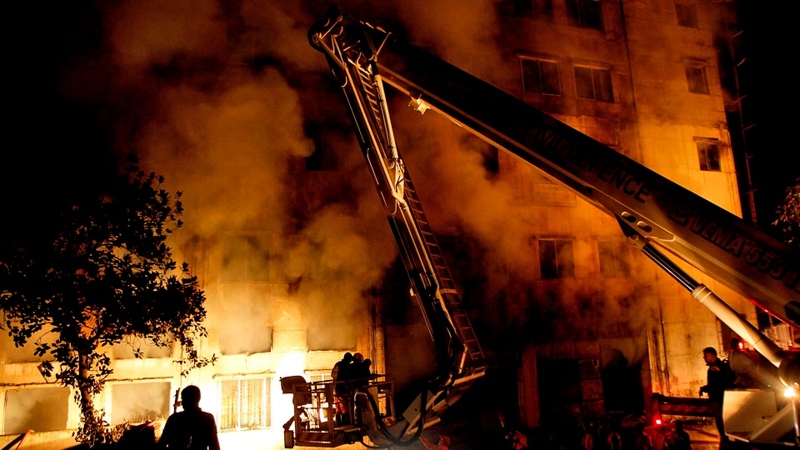 "The factory had three staircases, and all of them were down through the ground floor," Mahbub said, explaining that the fire started in the ground floor warehouse then spread quickly to the upper floors. 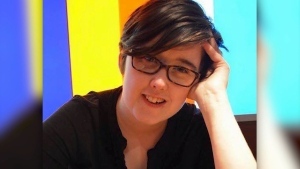 "So the workers could not come out when the fire engulfed the building." Firefighters were able to rescue workers who sought refuge on the roof of the building, but Mahbub said many more could have been saved. "Had there been at least one emergency exit through outside the factory, the casualties would have been much lower," he said. World Vision Canada policy director Wendy Therrien said it’s not uncommon to find unsafe working conditions in large factories located in parts of Asia. “These types of tragedies of this scale are probably exceptional, but the frequency of people working in unsafe conditions is really high in the region,” Therrien told CTV News Channel. Bangladesh is a major exporter of garment products, with the industry generating approximately $20 billion in earnings for the Southeast Asian nation's economy each year. Ensuring labour standards are met is the responsibility of companies and governments alike, Therrien said. Mark LaLonde, director of international operations for CLR Global Risk Solutions, said the tragedy was foreseeable. “While Bangladesh had made some phenomenal strides forward in the last 20 years in terms of development, workers’ safety is often the last thing to be addressed, “ he told News Channel. Additionally, enforcement of safety regulation often falls short due to a lack of staff and resources. Tazreen Fashions had been the subject of an audit conducted by an ethical sourcing assessor for Wal-Mart, according to a document on the website of Bangladeshi garment exporter Tuba Group, the Associated Press reported. In Dhaka, Boishakhi TV reporter Mithun Mostafiz told CTV News the cause of the blaze is unclear, but officials suspect an electrical short circuit. As the search-and-rescue operation continues, and investigators begin probing for the cause of the blaze, army soldiers, paramilitary guards and police have all been deployed to the area. "What I saw are huge crowds, I have never seen such a gathering to such an area," Mostafiz said of the curious onlookers and frantic relatives of workers crowding around the burned building. "I can't explain the number," he said.